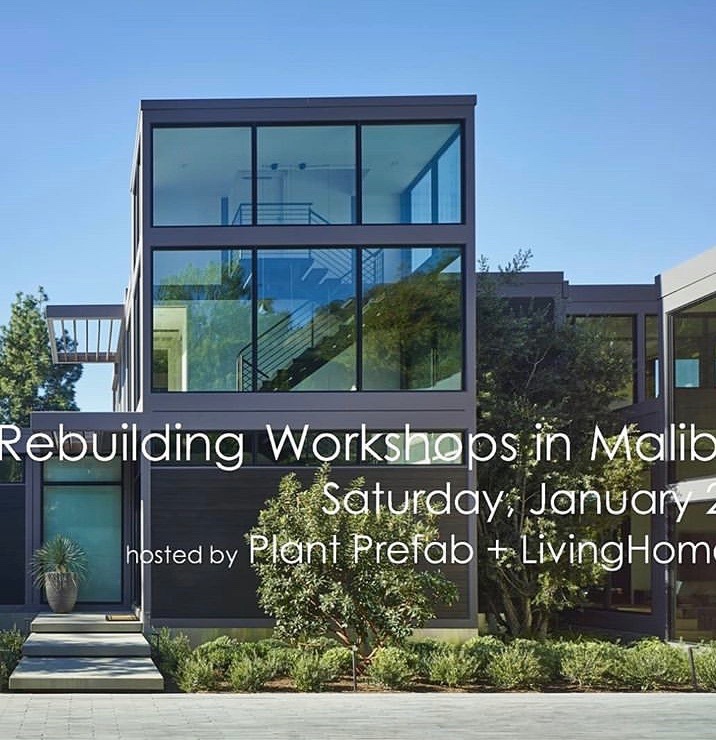 @livinghomes & @plantprefab will be hosting two workshops on January 26th and February 16th at 2:30pm PST @5pointyoga. We will talk about rebuilding after the wildfire and answer questions about how our prefabrication process can save time and money. The event is FREE and open to residents, architects, and others who may be interested.